In 1907 there was the first Chinese restaurant recorded in the London State of England. The problem could be identified as that the Chinese restaurant in the UK are aware of British consumers eating habits or not. Questionnaires did the researchers on the consumer preferences Chinese Restaurants up to date with British consumers eating habits and diet preferences and it is known that Chinese cuisine outside China has the distinctive styles to serve the food. Moreover, the food is given as per the choice of the UK consumers the Chinese Restaurants in the UK have the separate taste establishments, in the different version of Chinese cuisines. Chinese Restaurant in United State is well aware of the people taste bud and the target market is identified, based on the reasons customers are getting the good taste of food. However, Chinese cuisine outside China has the distinctive styles to serve the food because a food is given as per the choice of the UK consumers. Chinese Restaurant in United State are more influenced by the customer preferences because the taste is focused on American Chinese cuisine and the Canadian Chinese cuisine, thus, the Chinese Restaurants in the UK have the separate taste establishments, in the different version of Chinese cuisine. Background of the study is base on, how the Chinese restaurants are serving in the United Kingdom. However, in 1907 there was the first Chinese restaurant recorded in the London State of England. With the time, there was the rise in the number of various Chinese restaurants because in the UK consumers become aware of the healthy and tasty food. In the UK, there were maximum Chinese restaurants that were founded after Second World War. Moreover, the country has the large percentage of Chinese immigrants, so that restaurants having good taste are earning good profits in the country. Some Chinese restaurants are made by the citizens of UK but they are giving well because the target market and taste buds of the customers are identified and there is the awareness of the western tastes regarding Chinese cuisine. The problem could be identified as that the Chinese restaurant in the UK are aware of British consumers eating habits or not. The Chinese restaurants giving the actual Chinese taste to the customer or there are the preferences of the customer choices. 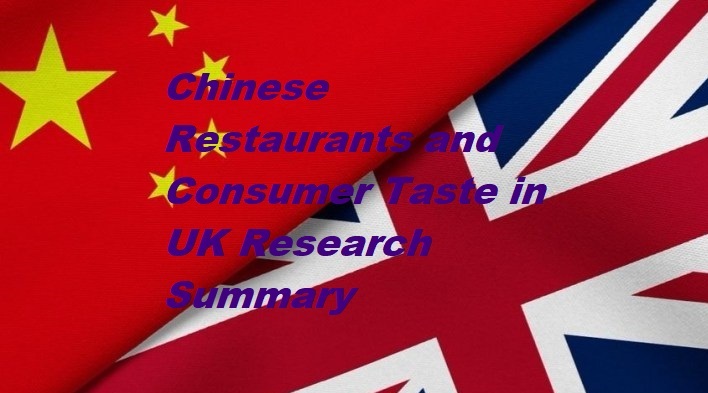 The aims and objectives of this research are to evaluate the effectiveness of the Chinese Restaurant working in British. For the evaluation of the effectiveness of restaurant business in the UK, it is aimed to analyze whether Chinese Restaurant has understood the eating habits and diet preferences of British consumers or not. For the evaluation, it is aimed to use old research as well a new primary data will be collected through Questionnaire in which British consumer of the Chinese restaurant is selected to ask about their experience of Chinese Restaurant. The main objective of the question is to find the cultural understanding of the Chinese Restaurants that are working in the UK. Secondly, it is the objective to evaluate that whether the British people like Chinese Food with Chinese taste or they want it to be modified according to the British eating habit and dietary preferences (Shi-sheng, 2010). The part of this project is literature review that lays the foundation for exploring the differences and phenomenon of consumers’ eating habits and diet preferences when referring to China and the UK. Some people have different meanings and perceptions about cultures according to Cocodia (2014;181). They have different views about the existence of culture; however, people are just one part of a culture. Culture is a collective mindset, custom, and achievements of people. A culture refers to a cumulative deposit of hierarchies, knowledge, experiences, values, beliefs, religion, and the concept of the universe, a notion of time, spatial relations, material objects, and possessions are acquired and communicated from generations to generation (Matthews, 2010;1). The culture of the place reflects the personalities of the people associated with it. Culture is a combination of routine elements however it can be divided into two further categories of National and Organizational culture (Gao, 2016;4). National culture is the one we learned since childhood (Prato, 2016;3). Our basic norms and values are based on national culture; hence these are too natural to be conscious of. National cultural grows with generations and passed own to next generation. Whenever people have contact with new culture either national or organizational cultural they will experience some difficulty in adjusting to the new culture. It happens because of different languages, cultural shocks and cultural conflicts (Gao, 2016;13). Globalization is a mean of sharing knowledge, experiences and business information around the globe. Therefore, cultural globalization refers as a phenomenon of transmission of ideas and values around the world in a way to extend and intensify the social relationship. Cultural globalization has three types: cultural homogenization, heterogenization and hybridization (Prato, 2016;4). These three types of cultural globalization are used to define the impact of globalization national culture (Ferraro, 2015;4). According to cultural homogenization approach with the advancement of globalization and technology different cultures haves stated merging into single world culture. Henceforth it is a concern that with the rapid exchange of information national cultures might diminish (Matthews, 2010;4). On the other hand, according to the cultural heterogenization, it is believed that through cultural globalization there would be the more diverse culture in the world. Hence the diversity will reinforce the national unity (Liu, 2015;2). The national culture of China and UK are way different from each other. Because of because of their different historical backgrounds, geographical locations, environmental aspects, and cultural values both the countries have the huge difference in their national culture (Salim & Wijaya., 2017;3). Their lifestyle, hobbies, and food preferences are completely opposite to each other. They have different philosophies about life. Both the countries have different norms, values, religion, traditions, societal structures, and lifestyles. 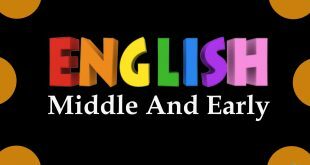 English people have an individualistic approach as per their culture. People in the UK have very busy schedule their daily life. Therefore, they lifestyle is very fast. English people are like to have parties and they drink a lot. People in the UK usually spend their holidays on traveling. They are also very social and like to go to pubs and clubs with friends (Salim & Wijaya., 2017;4). Moreover, their dietary habits and table manners are also different. British people prefer fast food like pizza, hot dogs and burgers because of their busy schedule. Moreover, they mostly have dined outs. British people used to enjoy individual serving, they most have big servings and people use knife and forks to eat their food (Gao, 2016). On the other hand, Chinese culture is based on collectivism. They usually live with their families. People tend to spend more work with their families. Colors are very important for Chinese and each color has different meaning to them. Chinese students are usually very shy. During the class sessions, they don’t ask much questions, instead, they use to listen to their teacher attentively. Chinese usually have the big group of students in the class. Moreover, they are mostly given individual work assignments. As per the food traditions, Chinese don’t like fast food at all because they believe that this food doesn’t have nutritions. Chinese used rice as their main course. Likewise, they eat less spicy and healthy food. They normally cook small pieces so that they don’t have to use a knife on the table, instead, they use chopsticks to eat their food. High –low context culture classification is based on the communication style of the culture. As per this classification both the cultures are placed on opposite ends of the continuum (Smith, 1996;3). People from high context culture communicate with others in physical context or internalized information. Only small messages are communicated in explicit, direct way. On the other, in low-context cultures, people prefer an opposite communication style. 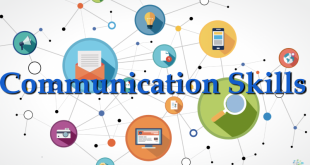 They used explicit, direct communication instead of implicit communication (Usunier;5). As per their respective cultural context, China is classified as relatively high – context culture whereas the UK is classified as the relatively low-context culture. The Cultural difference among the countries is also concerned with the differences of time perceptions. As per the task schedule behavior people can be divided into two categories: M-time (Monochromic) and P-time (Polychromic)(Hassi, 2012;4). Monochromic are those people who work according to the planned schedule and do one task at a time. They don’t tolerate any change in schedule. On the other hand, polychromic people are usually multitasked and they prefer to do multiple tasks at the same time (Kittler, Rygl, & Mackinnon, 2011;5). Moreover, they accept the changes in planned schedules. As per this phenomenon, British are typically M-time people and Chinese are typically P-time people. British considered time as money, however Chinese use to work as per preferences (Kittler, Rygl, & Mackinnon, 2011;5). Before explaining these issues, it is necessary to make an explanation of national cultures between these two countries, such as China and the UK. With regard to national culture, Hofstede culture can create great effects on analyzing these differences (Kittler, Rygl, & Mackinnon, 2011;6). This theory may include some factors, consisting of individualism, power distance, uncertainty avoidance, and masculinity as well as long-term orientation (Minkov and Hofstede, 2012). Correspondingly, some relevant factors should be also taken into consideration. For example, collectivism, femininity, short-term orientation are other factors that represent a national culture. 89 Score for individualism means the highest view as compare to china that is 20. Masculinity is same in both. Uncertainty in the UK is 35 slightly higher as compare to China that is 30. China is the winner in long-term orientation with 89 scores and lowers in indulgence with 24 grade only. To be specific, the dimension of individualism and collectivism reflect the degree of intimacy that people are associated with each other in a particular cultural context (Kim et al., 1996;6). Consumers tend to be more self-centred, more independent. For collectivism, consumers pay attention to the relationship with others and strive to maintain their relationship and status to desire for a harmonious atmosphere (Stan and Evans, 2000;2). This common cultural background is under China, with the progress of society and culture in the international context of further integration. Therefore, Chinese consumers have gradually developed their own consumption characteristics (Gao, 2016;6). The dimension of power distance reflects the degree of unequal distribution of power within a given organization to determine who has less power and been disadvantaged within this dimension of power (Kirkman et al., 2009;7). The environment with large distances of authority, people with less power are more tolerant of hierarchies and unfair treatment. Such a cultural value environment, different consumers have their own features to experience their attitudes and actions. Strong consumers may expect high-quality services to demonstrate their identity and status while weak consumers have a high degree of tolerance if they have bad experiences (Uncles et al., 2003;8). Under such cultural environment, the difference between strong and weak consumers is small. Uncertainty Avoidance, this dimension reflects the extent to which people are threatened with uncertain or unknown things in each context (Hwang, 2005). Uncertainty in the high-rhyme cultural environment, consumers are more tolerant of lower emerging services. To deal with such consumers, it is necessary to identify the specific contents and time when providing services. 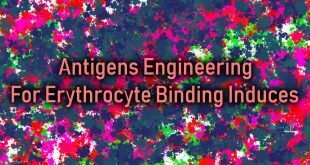 In doing so, it can eliminate the influences due to uncertainty and make the explanation for results in advance. Under an environment as low uncertainty, consumers are more likely to be tolerant of emerging, superior services (Pavlou et al., 2006;8). In other words, consumers tend to accept this service as compared to consumers with high uncertainty. With regard to masculinity, this dimension reflects the influence of the predominant position on the evaluation of service quality in a specific cultural context, whether they can have independent, decisive male features to occupy the primary position, or they have the attentive, dependent traditional female trait (Tsoukatos et al., 2007;7). The long-term and short-term orientations are added, which can reflect the way that develops themselves in a cultural context (Hofstede and Minkov, 2010;8). Long-term orientation, consumers are adhering to the long-term goal of service, tendencies and service providers to establish long-term stable cooperative relations in the service to obtain long-term benefits. In the short-term orientation, consumers focus only on current interests. These different national cultures can represent different people to make their own decisions and take actions. Therefore, when discussing the differences of British and Chinese people’s eating habits and diet preferences, this theory should be effective and useful. Chinese and British diets have large differences. Because of various cultural trends, the Chinese food is rich in content so as to produce a lot of cuisine and genre (Miller, 2006;3). Western countries have to admit defeat. Traditional British cuisine is relevantly boring while cooking technology in China is far behind. There are many dishes or food to be introduced from other countries and be accepted by British people. But British people attach great importance to the nutritional value of diets and strive to taste light and balanced diet (Schmid, 1997;7). Breakfast is often an egg, a glass of milk, a few slices of bread together with a sausage, the heat is very adequate; lunch often buffets fast food, even the most luxurious dinner is nothing more than bread, chips, sausage, steak, Chicken, cheese, etc., is also very simple, but the nutrition is very rich. This is due to the complex thinking. Westerners are more likely to take food is basically due to the perspective of nutrition to understand the diet. The most obvious difference between Chinese and Western banquets is the use of tableware. The Chinese use chopsticks to hold food, and Westerners cut food with knives and forks. Different consumption patterns are obviously not the accidental phenomenon but under the guidance of different cultures formed (Kittler, Rygl, & Mackinnon, 2011;3). “Just in time” seems to be a universally applicable concept, but in different countries and different cultures, the concept of understanding this concept is not the same. Furthermore, the contents of specific countries’ activities are varying. One of the founders of intercultural communication, the famous American anthropologist Edward Hall put forward the concept of human time, there are two cultural patterns, namely the “Monochromic-time” and “polychromic-time” (Hall, 2000;7). Monochromic-time requires people to strictly follow a schedule, while those who are polychromic-time cannot follow the schedule and complete tasks based on their own arrangement. This should be different between Chinese and British people. 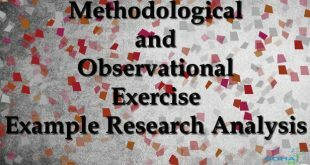 The purpose of this chapter is to focus on the research methodology. In this project, I would investigate about the Chinese restaurant that is working in the UK, as the culture and customer preferences are focused that the restaurant companies are aware of the customers of UK or not. There are up to date British consumers who have different eating habits as compared to the Chinese, so in this way, the culture and taste preferences of the Chinese restaurants is considered or evaluated. The evaluation is done from the national and geographical aspect and thus the effectiveness factor and efficiency factor are known. This research includes the primary source and the secondary source as well. For the method, I would look at an example; the Chinese restaurants there are focused on the customer preferences in the UK. The characteristics of two nationalities can be compared. 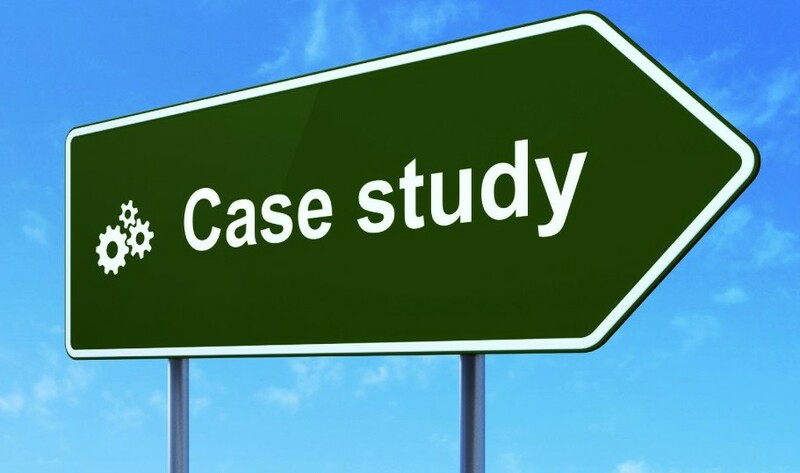 We have used qualitative and quantitative research because questionnaires are focused and for that, we use simple random sampling approach. The questionnaire is based on the close-ended questions that are categorized in two parts A and B. Part A is Demographic Profile whereas part B is Preference to Chinese Restaurants. Total 50 Participants took part in the research. All the participants are the British consumers on Chinese Restaurants. In this project, from the section of methodology, it could be said that in the UK there are the different cultural characteristics because the Chinese restaurants have adopted the taste, according to the taste of customer’s preferences. Thus, there could be misconceptions in defining the taste of the Chinese customers and the restaurants. Firstly, Chinese are maximum in number so the restaurants are well aware of the taste, but while filling the research paper, the customer could show the biases. There are cultural differences in both the countries are different. There is the need to address that the cultural characteristics of both countries i.e. China and UK would be generalized or a small sample is taken as a representation of the whole culture, there are the subcultures in the countries. In this way, the limitations may affect the research because they could change the results of the research. 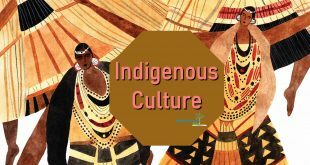 Therefore, in a practice, there is need to be careful that within cultures, some sub-cultures also exist that could create controversies for the research. Secondly, therefore, in this way, the restaurants should use a way of addressing a mixed culture to reduce the cultural impact. Likewise, it is hard to find that both cultures are under the influence of globalization. In this aspect, it is hard to make any results about the culture without experiencing it in real time. Thirdly, the people of UK May familiar with the taste of the Chinese they eat in their country, so they cannot judge the taste as the taste is according to what they want to be, because the restaurants are well aware of the customers, who wanted Chinese food. Moreover, it was also a limitation that total 50 British consumers are asked questions as they are considered to represent all the British people. Therefore, it is the possibility that some British may have the different point of view towards Chinese food and restaurants. The restaurants that are working in the UK setting are very much concern about their giving the dietary food to the consumers because the consumers are conscious about the health, so Chinese restaurants are focused on providing the taste with nutritions. Moreover, by addressing the routine and by understanding the importance of time for the customers, the Chinese restaurant used the machinery that helps the organization to ready ensure the delivery of the order on time. Another strategy that is used by the Chinese restaurant is diversified workforce. For this aspect, Chinese restaurant hires locals so that they could get help from them to understand their needs and then accordingly meet their level of satisfaction. This is an effective way as it helps them to develop a cultural understanding that could be helpful to understand the eating habits and dietary preferences of British people. The customers are given the food at the affordable prices so that they could be attracted to the nutritious food at the affordable prices. However, the Chinese restaurants are doing the joint venture with the UK businesses. Another strategy used by the Chinese restaurant is the joint venture. According to a writer, it is stated that through this strategy, Chinese restaurant has not only succeeded to reduce the risk associated with the business but at the same time, the joint venture business practices have helped them to consider the preferences of the locals in business planning. The cultural characteristics of Chinese restaurants compare and contrast with the culture of China and UK. Chinese restaurants in the UK are using the successful because they are using effective strategies so that the customers could be grasped in the market. In the UK, there are maximum numbers of customers; there are Chinese people who prefer Chinese food. Chinese use typical cooking methods, although Chinese cousins are rich but it appears boring to the customers at the UK. Therefore, Chinese restaurants should add some exciting touch to their dishes to make more taste and delicious. Moreover, these restaurants should use advanced cooking equipment to make cooking easier and time saving, because Chinese food involves a lot of chopping which makes cooking a time-consuming process. As per the above-mentioned research and discussion, it can be said that in order to survive in the British culture Chinese restaurants must add some British touch not only to their food but also to their environment, serving patterns and food presentation as well. In this way, the environment of the restaurants and food will be more attractive for the British people. Another aspect is that the culture of China and UK is quite different because people of China prefer healthy food as they prefer mine nutritious but less fat food, people of China are diet conscious but the people of the UK prefer that is good in taste. They like to eat cheesy food so that Chinese restaurants there have adopted the taste according to consumer preferences. Regarding focused on the conclusion, it could be said that there is the focus on the eating habits and diet preferences between Chinese, British people. The Chinese restaurants that Chinese restaurants have the understanding of the customer choices and based on the reason they are serving the British customer in an effective way, restaurants are aware of the customer’s choices, eating habits and dietary preferences. Following this, it is concluded that there is the huge difference between the British and Chinese culture. The Chinese way of cooking is very old therefore to adjust these techniques in British culture; they need to integrate their techniques of cooking. Furthermore, the major difference is the taste that is completely different. For this aspect, Chinese has to address and understand the taste preferences of British. Moreover, the Chinese have to improve their service to effective adjust with the British culture because British is very much concern about the time, therefore, the machinery for the restaurant’s operations should be well modified so that the customers will not have to wait for long hours for their turn. Most importantly, Chinese not only have to focus on their culture but they also have to adopt British consumer’s eating habits and dietary preferences. Cocodia, E. (2014). Cultural Perceptions of Human Intelligence. J. Intell, 2, 180-196. Ferraro. (2015). Cultural Dimension of Global Business. Routledge. Gao, H. M. (2016). Listening to Chinese immigrant restaurant workers in the Midwest: Application of the culture-centered approach (CCA) to explore perceptions of health and health care. Health communication, 727-737. Kittler, M. G., Rygl, D., & Mackinnon, A. (2011). Beyond culture or beyond control? Reviewing the use of Hall’s high-/low-context concept. 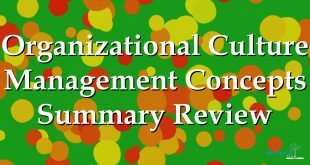 International Journal of Cross Cultural Management, 11 (1), 63–82. Liu, R. (2015). An assessment of health risks and mortality from exposure to secondhand smoke in Chinese restaurants and bars. PloS one, 54-65. Mooij, M. d., & Hofstede, G. (2011). Cross-Cultural Consumer Behavior: A Review of Research Findings. Journal of International Consumer Marketing, 23 (1), 181–192. Salim, P., & Wijaya., H. (2017). Understanding Chinese Culture and Tradition Through Observation in Chinese Restaurant as a Study Case of Informal Education. Advanced Science Letters, 750-753. Shi-sheng, Y. (2010). The Research of the Differences Between Chinese. CROSS-CULTURAL COMMUNICATION , 6 (2), 75-83 . Smith. (1996). National culture and the values of organizational employees a dimensional analysis across 43 nations. Journal of cross-cultural psychology, 231-264. Steger. (2010). Globalization. John Wiley & Sons, Ltd.
Usunier, J.-C. The influence of High- and Low-Context Communication Styles on the Design, Content, and Language of Business-to- Business Web Sites. Journal of Business Communication, 47 (2), 189-227.